“He who sows sparingly will also reap sparingly, and he who sows bountifully will also reap bountifully” [ 2 Corinthians 9:6 ]. It’s been said that if you “Sow a thought and you reap an action; sow an action and you reap a habit; sow a habit and you reap a character; sow a character and you reap a destiny.” That “destiny” would be eternity in Heaven with God! 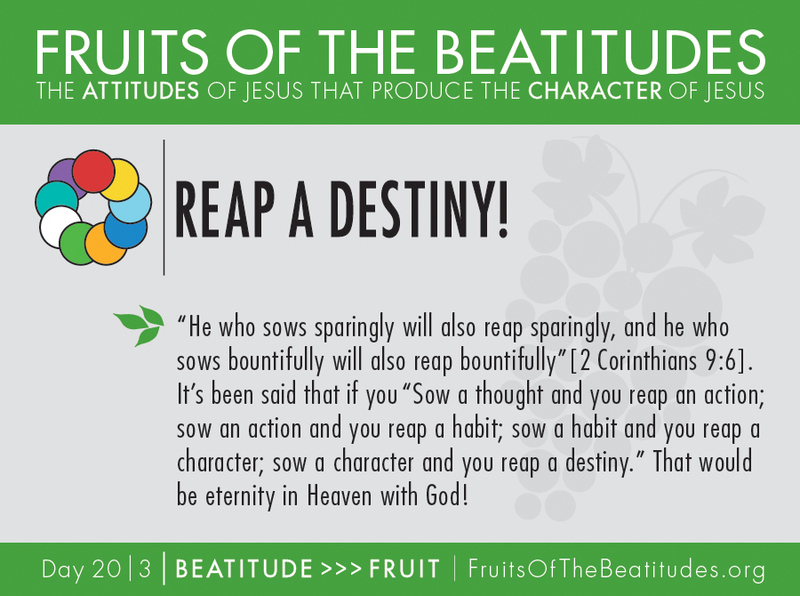 Tags: Fruits Of The Beatitudes, REAP A DESTINY!